Keeping families and businesses safe for over 30 years. You work hard to keep your business thriving and your home warm and welcoming. Let Alarming Ideas do the heavy lifting when it comes to keeping both your business and your home safe. Conveniently located in Norwich, CT, Alarming Ideas has been helping customers throughout Connecticut and Rhode Island fulfill all of their commercial and residential security needs. False alarms are aggravating, and may even result in a fine from local law enforcement, so it’s important to know why they happen and how to prevent them. The vast majority of false alarms stem from user error, whether it’s a child playing with the system or a guest, such as a house sitter or babysitter, being unfamiliar with your system. The simplest way to prevent this type of false alarm is to give clear instructions to anyone who may need to access your security system. Additionally, be sure to supervise children while they’re playing and reinforce the fact that alarms are not toys. Flaws in the equipment itself can also lead to false alarms. If you have pets in your home, be sure to install motion sensors that are specifically designed to be pet-friendly. Make sure all of your smoke detectors are properly placed throughout your home — a smoke detector can go off if it is placed too close to a heat source such as your stove or a warm, steamed-up bathroom. Once you have installed your security system, it is crucial that the system is up to date and well maintained. Outdated or malfunctioning equipment not only costs you the hassle of responding to the false alarm, it also costs you the time and price of updating your system. Fortunately, upkeep is often as simple as making sure items like smoke detectors and motion sensors are free from dust and debris, and have new batteries. It is important to remember that technology has changed by leaps and bounds in a relatively short period of time. 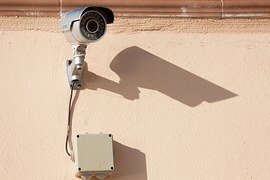 The security system you installed when you first moved into your home may not be compatible with the new wireless monitoring app on your phone. Similarly, smoke detector technology has changed in the past decade, switching from ionization detection to more reliable photoelectric detection. To make sure your property is as safe as possible, call the experts at Alarming Ideas at (860) 887-2121. Visit them online to learn about the full range of equipment for sale and how to get a free quote.